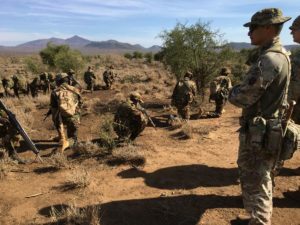 A short term training team (STTT) from 2 Royal Gurkha Rifles (RGR) has delivered pre-deployment training (PDT) in October 2017 to the soldiers who will deploy on African Union Mission Somalia VII. 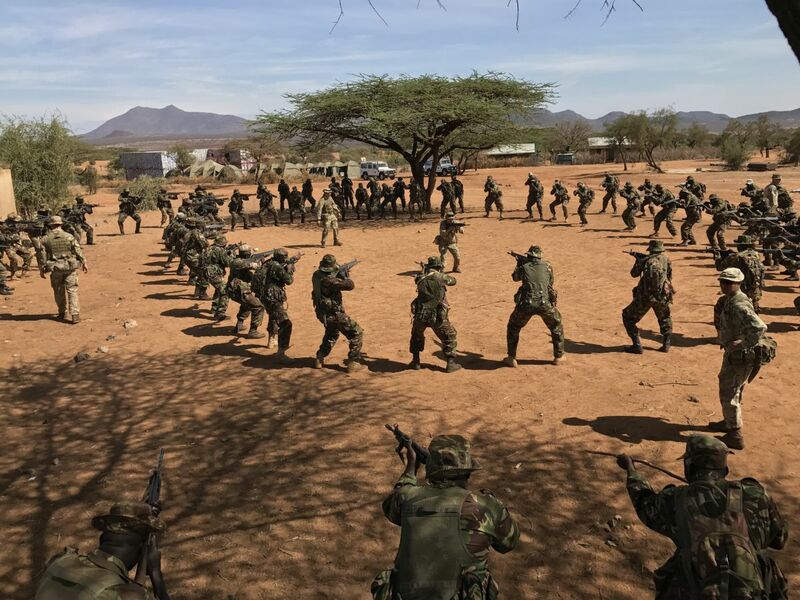 The training was aimed at preparing the Kenyan Defence Force on AMISOM VII for their deployment to Somalia and the fight against insurgency, primarily Al-Shabbab. AMISOM VII comprises approximately 400 Kenyan Army personnel from 1 Kenyan Rifles (KR), 7 KR and 21 KR. The STTT has provided training on offensive and defensive Operations in both rural and urban environment and also focused on forward operating base security and routine. The training also involved Counter improvised explosive devices, counter insurgency and medical training for emergencies. 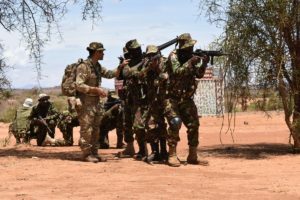 Five of the original eleven 2 RGR instructors are still in Kenya delivering another training mission to the Kenyan Defence Force; tracking, information and exploitation. The STTT is supported by the British Peace Support Team Eastern Africa.